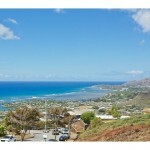 Diamond Head Homes for Sale - Real Estate in Diamond Head | Locations LLC. The neighborhood of Diamond Head surrounds the famous landmark volcanic tuff cone of the same name on the southeastern shore of the island of Oahu in Hawaii. Interestingly, Honolulu is one of the four cities in the U.S. to have a volcano within its boundaries. Due to Diamond Head’s defining feature of Oahu’s geography, the proximity of the scenic shoreline and downtown Honolulu, the neighborhood of Diamond Head is a coveted and often very expensive area. The vast majority of homes in Diamond Head are single-family homes and buyers will be hard pressed to find anything else in this established area. The neighborhood is known for its solid middle class, “old-timer” residents who have lived in the area for generations, having passed down the home from generation to generation. Due to this, the sale inventory can be quite low in this area but the neighborhood is safe, quiet, and great for families. Those looking to buy such a historic home may be in for sticker shock: These homes start at about $750,000 on the low end. These “starter” homes tend to be un-renovated since their first construction perhaps in the 1950’s and 1960’s, on smaller lots (about 4,000 to 6,000 square feet), and smaller living space (about 1,100 to 1,600 square feet in living space). Notwithstanding these facts about the homes themselves, buyers and residents love this neighborhood because of its location, excellent school district, and security. Residents who work in downtown Honolulu have a very easy commute, taking about 15 to 20 minutes to drive from Diamond Head to downtown Honolulu and it takes even less time if there is no traffic. It is close to the major universities of University of Hawaii, Hawaii Pacific University, and Chaminade University. Kapiolani Community College, known for its culinary program, is located within the Diamond Head neighborhood. 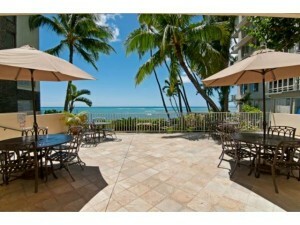 Diamond Head real estate is even closer to Waikiki and flanks the ultra exclusive neighborhood of Kahala. Waialae Avenue, just north of the area, contains many delightful shops and restaurants. 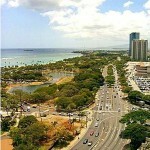 For shopping malls, a short five to ten minute drive will take you to Kahala Mall or Ala Moana Shopping Center.